Lets face it, studying can be a pretty boring activity, and doesn’t always involve topics students are particularly interested in. Many students give up, and accept that reading endlessly from a textbook is the only way to get your work done. However, by incorporating art and creativity into your everyday study routine, you can make the activity more interesting and more effective. When students invest time in creating diagrams and other visual representations of learning points, it can be much easier to retain the information. Studies show that both teachers and students find visual aids to be useful in learning in the classroom. 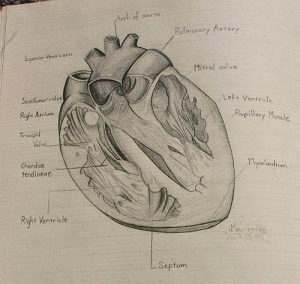 Through the act of not only creating the visual but also viewing it again when studying, students can get the best out of the content by channeling their inner Picasso. Students should also use color to spruce up the pages, which can separate the information in a more visually pleasing way. By using different colored highlighters and pens to organize or keep track of different information, it will be easier to find it again later when you’re studying for the exam. 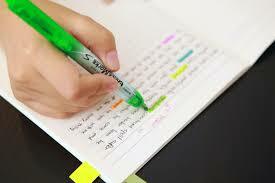 Some students also choose to re-write their notes after class, in order to make them more focused and nice to look at. If you’re looking to break up your normal study habits, try getting a little bit artistic. You’ll be more focused, and happy while you do it.